Friday, October 19 will see the last screening of the film on WORKac, the fourth architectural studio featured in The Architects Series, a new cultural format created in partnership with The Plan magazine, that SpazioFMGperl'Architettura, the gallery and showroom of Iris Ceramica and FMG Fabbrica Marmi e Graniti brands, offer the public. The Architects Series continues starting October 25 with a new event, the fifth in the series, focusing on Ennead Architects. 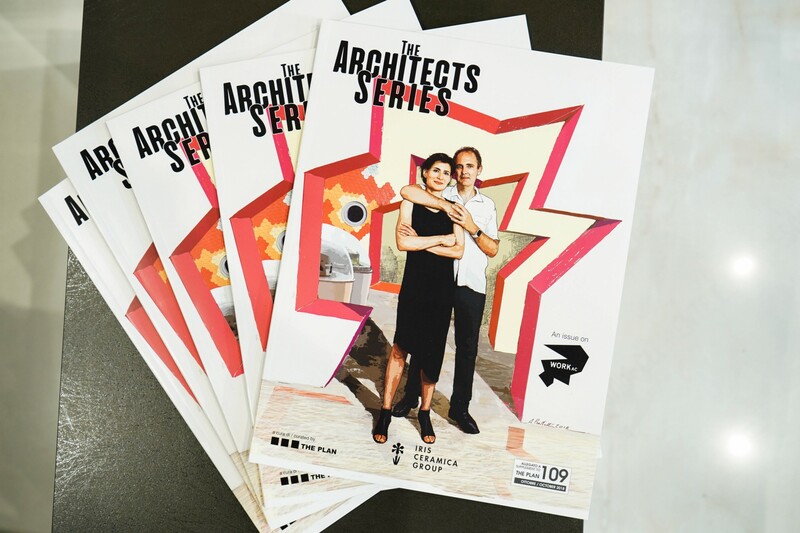 During these last few days of “The Architects Series - A documentary on: WORKac”, we take a look at the Arizona House project by WORKac’s founders, architects Amale Andraos and Dan Wood. In the docu-film in The Architects Series, architects Amale Andraos and Dan Wood explain that the starting point for all the studio’s projects is in-depth, all-round study of the location and what needs to be done with it. Arizona House is located in Tubac, a small town south of Tucson, Arizona, not far from the Mexican border, which grew to importance as an artists’ colony in the 1930s and again in the 1960s. Architects have always viewed the desert as an important challenge, attracted to the extreme living conditions and the abundance of unbounded space in the desert. Examples of important desert projects include Frank Lloyd Wright’s Taliesin West School of Architecture in Scottsdale, in the Arizona desert, built in 1937 and now home to the foundation that bears the architect’s name, and Arcosanti, an "experimental" city 100 km from Phoenix, Arizona built by architect Paolo Soleri with the aid of numerous volunteers starting in 1970. In Tubac, WORKac designed a guesthouse with views over the Sonoran Desert inspired by the Earthship ecological homes Michael Reynolds designed in the 1970s. Unlike these homes, which dissipate heat into the ground, WORKac’s house rises above ground level. The architects took into account the great temperature excursion of the desert, and climate is a key pillar of the design, along with energy and water self-sufficiency. For this reason the installations not only serve the building system, but become an important element characterising the architectural design. Amale Andraos and Dan Wood designed a passive home with zero energy consumption. The massive brick volume on which the house stands, with its overhanging first floor, absorbs heat during the day and gives it off at night, when the temperature drops considerably. This volume, divided over two levels, contains the bedrooms, toilet and kitchen, as well as the tanks required to ensure the home’s autonomy. The massive brick parallelepiped of the upper level juts out to create a shady patio. A light glass structure partially rests against this volume on the south side, a true greenhouse containing the living room. Its shape and 40° inclination allow the glassed-in structure to convey hot air to the highest part of the building and through the staircase to reach a patio on the roof of the brick volume.